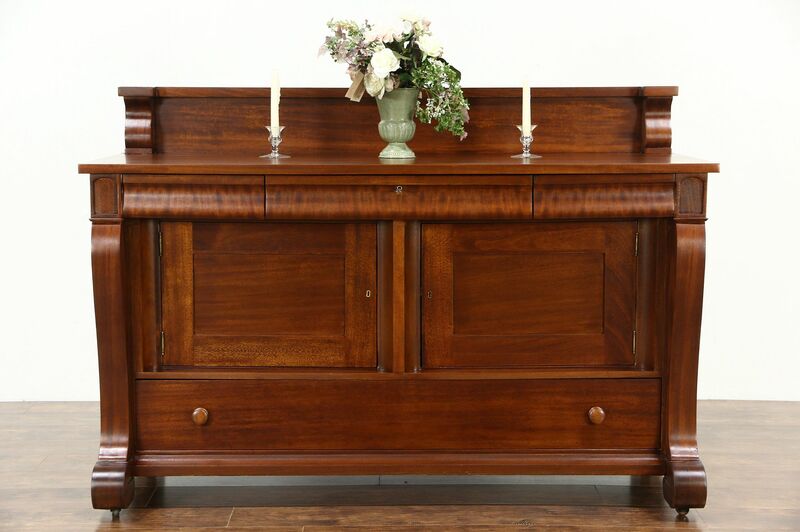 An Empire sideboard, server or buffet was expertly crafted about 1910 with beautiful sweeping classical lines. Boldly grained and matched mahogany has an excellent restored finish on this American made antique furniture. Drawers have dovetailed joints, a key operates the locks. The left door has a slight warp, see photos. Measurements are 67" wide, 26" deep, 46" tall and the top is 38" high.